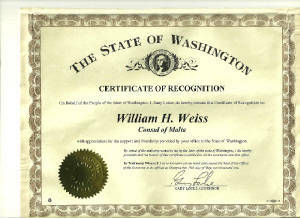 The Consul is the official agent of a state within the territory of another state. In addition to protecting and representing the interests of the country and its citizens, the Consul must also foster the development of commercial, political, cultural, academic, technological, tourist and other relations between both nations. authorities within the political administration of that state. The mission of the Consul is to foster the development of close economic and commercial links between states. The Consul promotes tourism activities and information. Consuls are responsible for obtaining complete and accurate information about the the state. In addition, Consuls are responsible for remitting to the Embassy and the Ministry of Foreign Affairs their analyses and evaluations of these matters. Consuls also provide similar information to entities, authorities and interested individuals in their jurisdictions. Consuls must carefully review and evaluate all information that appears in the mass media. The development of a country has a direct relation to the existing level of progress in the scientific and technological fields, as well as the level of academic excellence of its educational institutions. Therefore, assimilation of new technologies constitutes a matter of high priority for the development of the country. In this regard, the Consuls must develop close connections within their jurisdictions with scientific, academic and industrial communities to assess the best possibility for cooperation in specific fields and developing scientific and technological cooperation projects. Trade with other regions of the world has become an increasingly vital element in the economy of the United States. The machinery of this essential commerce is complicated by numerous restrictions, license requirements, quotas, and other measures adopted by the individual countries. Since the regulations affecting both trade and travel are the particular province of the consular service of the nations involved, reliable information as to entrance requirements, consignment of goods, details of transshipment, and, in many instances, suggestions as to consumer needs and preferences. Consular officers should be accorded their respective privileges, rights, and immunities as directed by international and domestic law. These foreign officials should be treated with the courtesy and respect befitting their positions. At the same time, it is a well established principle of international law that, without prejudice to their privileges and immunities, it is the duty of all persons enjoying such privileges and immunities to respect local laws and regulations. 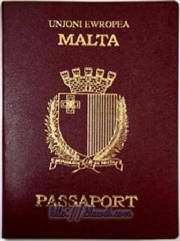 Unless otherwise provided under specific bilateral agreements, they are entitled to the limited immunities described in the Vienna Convention on Consular Relations (VCCR), which contains the current expression of international law on the subject of the rights, privileges, and immunities of consular personnel. Furthermore, recognized consular officers who also are accredited as diplomatic agents at certain diplomatic missions enjoy full immunity under the provisions of the Vienna Convention on Diplomatic Relations (VCDR). Article 43 of the VCCR states that the immunity to which consular officers are entitled relates only to acts arising in the exercise of consular functions. This limited form of immunity, generally referred to as "official acts immunity" or "functional immunity," must be asserted in court as an affirmative defense and is subject to court determination. It should be noted that civil actions relating to private contracts and damage arising from accidents caused by automobiles, vessels, or aircraft are specifically excepted from a claim of "official acts immunity" as are those based on private contracts. Although career consular officers enjoy only limited immunity from jurisdiction, Article 41 of the VCCR does grant them personal inviolability. Therefore, such individuals may not be arrested or detained pending trial, except in the case of a grave crime and pursuant to a decision of a competent judicial authority. 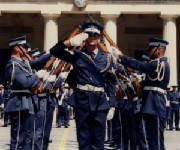 Career consular officers can be identified by credentials issued by the U.S. Department of State, which bear its seal, the name of the officer, and title. Family members of consular officers do not enjoy the same privileges and immunities with respect to the civil and criminal jurisdiction of the receiving state as do consular officers. However, they should be accorded appropriate courtesy and respect. Although foreign career consular employees are not listed in this publication, these individuals also are entitled to immunity from the civil and criminal jurisdiction of the receiving state as to official acts performed in the exercise of their consular functions, subject to court determination. They do not, however, enjoy personal inviolability and, thus, are not immune from arrest or detention. 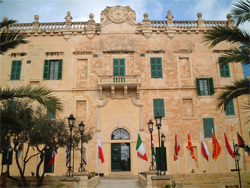 Help us answer all of your questions your questions regarding Malta. Business, Travel, Passports, Visas , etc.